ISLAMABAD: The government notified on Monday an unprecedented 74 per cent increase in electricity tariff for industrial, commercial and bulk consumers of all distribution companies, including Karachi Electric Supply Company (KESC) with immediate effect. The increase will boost the kitty by Rs169 billion. Of this amount, Rs136.8 billion pertained to ex-Wapda distribution companies and Rs32 billion to KESC, a senior official told Dawn. He said average tariff increase was estimated at 35pc even though in some categories rates might be on the higher side. The �anticipatory approval� of the tariff increase was acquired from the Economic Coordination Committee (ECC) of the cabinet through circulation of the file containing different schedules of tariff and it would be endorsed by the federal cabinet soon. The prime minister had allowed tariff increase before leaving for Saudi Arabia. Power Minister Khawaja Asif had announced last week that electricity rates for domestic and agricultural consumers would be increased with effect from Oct 1. The implementation of two-phased tariff rationalisation would cut down Rs396 billion in subsidy, estimated without tariff increase to Rs252 billion as against Rs165 billion targeted in the federal budget 2013-14. This will take total revenue of all distribution companies (excluding KESC) over Rs1 trillion from about Rs875 billion under the existing tariff. The hike in industrial tariff ranges between 25 and 98.42pc, depending on various slabs and categories so that there is �zero subsidy on budget� for industrial sector. 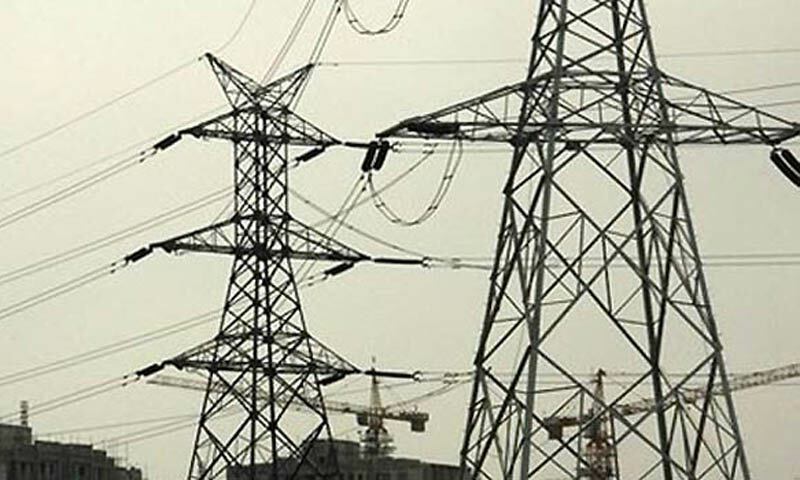 The tariff for commercial and bulk consumers has been jacked up to the level of minimum determined tariff for best distribution company (generally Islamabad Electric Supply Company) so that the overall budgeted subsidy in this sector comes down, but has not been completely eliminated as in the case of industry. COMMERCIAL TARIFF: Commercial tariff has been increased between 19 and 74pc. The tariff for commercial consumers, known as A-2, has been raised to Rs18.90 per unit from the present notified tariff of Rs14.77 per unit, up 28pc. Regular 20kw commercial rates have gone up by almost 74pc to Rs16.90 from Rs9.72 per unit. The rates for Time-of-Day (TOD) commercial consumers increased by over 43pc to Rs18.90 from Rs13.20 per unit for peak consumption while off-peak rates has gone up by 67pc to Rs13.40 per unit from Rs8.01. Temporary commercial rates have increased from Rs15 to Rs1517.90 per unit. INDUSTRIAL TARIFF: With addition of 81 paisa per unit equalisation surcharge for all industrial consumers, the tariff for B-1 consumers has risen by almost 46pc to Rs15.31 from Rs10.51 per unit. The peak B-1 (TOD) rate has been increased by 35pc to Rs18.81 from the current rate of Rs13.99 per unit while off-peak rate of this category has jumped up by 62pc to Rs13.31 from Rs8.22. The B-2 tariff is likely to go up by 62pc to Rs14.81 from Rs9.14 per unit. B-2 peak (TOD) rate would go up by more than 47pc to Rs18.81 per unit from Rs12.77 while its off-peak rate would rise by 64pc to Rs13.11 per unit instead of Rs8.01. The B-3 TOD peak rate would be increased by 48pc to Rs18.81 from Rs12.68 while its off-peak rate to rise by 68pc to Rs13 per unit instead of Rs7.75. Likewise, the B-4 peak rate has increased by 52pc to Rs18.81 from Rs12.37 per unit while its off-peak rate has jumped up by 73pc to Rs12.91 from Rs7.46. SINGLE POINT BULK: The C-1 (A) tariff has been raised by almost 36pc to Rs15.72 per unit instead of Rs11.55 while C-1 (b) rate moved up by 47pc to Rs15.22. Its peak (TOD) rate has been increased by 44pc to Rs18.72 per unit from Rs13.01 while off-peak rate up by 65pc to Rs13.22 from Rs8.01. The C-2 rate has been increased by 46 .5pc to Rs15.02 per unit from Rs10.25. The C-3 rates of 60/132kv supply by would go up by 48pc to Rs13.02 from Rs7.75 per unit.